Create your own Latinx superhero with Baruch Porras Hernandez and Roberto Santiago at these FREE workshops for youth! 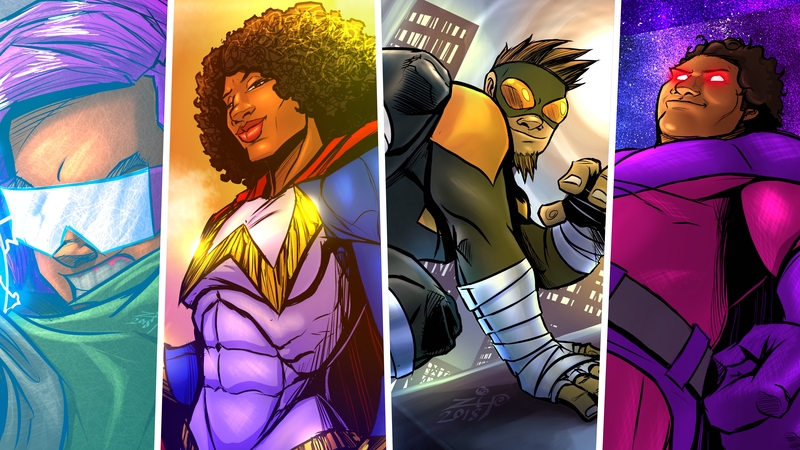 As part of the We Can Be Heroes project, MACLA, Baruch Porras Hernandez, and the LGBTQ Youth Space invite youth ages 13-25 to participate in these FREE workshops where students will learn to develop their own superhero stories and contribute to the larger commissioned We Can Be Heroes project. 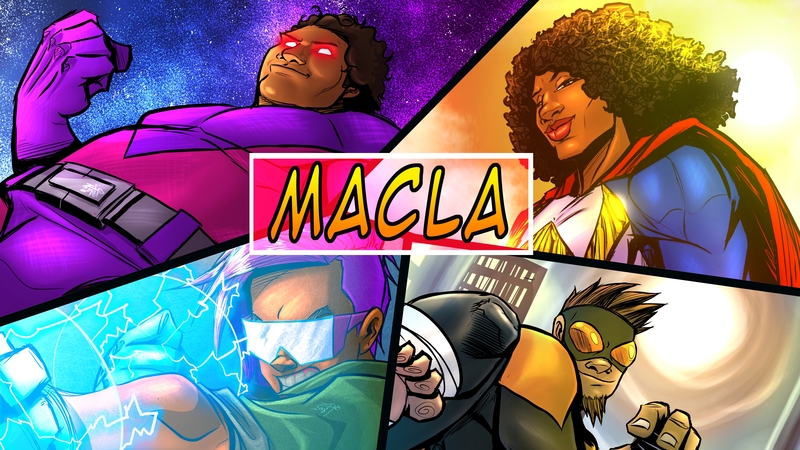 Students will also have the opportunity to present their pieces at MACLA's In the Works night on Fri, Mar 22, 2019. Open to ages 13-25, all backgrounds and experiences welcome. Questions? Write to sharon@maclaarte.org. Roberto F. Santiago received his MFA from Rutgers University, BA from Sarah Lawrence College, and is an MSW candidate at UC Berkeley. His poetry has been published in Apogee, Foglifter, Assaracus, CURA, The Waiting Room Reader, Me No Habla With Acento, and other journals and anthologies. He has received fellowships from CantoMundo, Squaw Valley Community of Writers, Sarah Lawrence College, and Lambda Literary Foundation​. Roberto is​ the recipient of the Alfred C. Carey Poetry Prize and his debut book of poetry, Angel Park (Tincture, 2015), was a finalist for the 2016 Lambda Literary Award for Poetry. Roberto writes and produces his own music, ​and likens himself to Tennessee Williams in a poodle skirt, ​Gloria Anzaldúa in culottes​, and/or ​​James Merrill in ​short-shorts.​ Currently, he works as​ an educator​ in San Francisco where he also lives with a fiction writer. The LGBTQ Youth Space is a Program of Family & Children Services and Caminar for Mental Health. We are a community drop-in center and mental health program for lesbian, gay, bisexual, transgender, queer, questioning and ally youth and young adults ages 13-25 who live in Santa Clara County. Our space is open 3pm-9pm Monday through Friday. Our Mental Health Services are available to 13-25 year olds and are available in English, Spanish and American Sign Language.